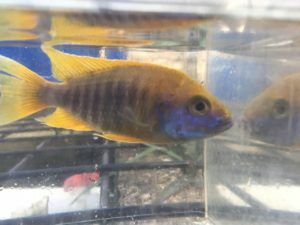 Latest News and Freshwater Fish and Aquatic Plant Arrivals at our Farm. A special Thank You to everyone that has come out and supported us over the past month. 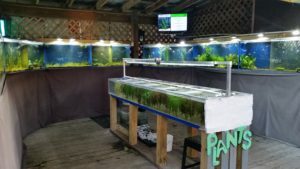 With your help, we have been able to stay open, start the cleanup and rebuilding process, and even get to place some orders for new fish to bring in to help you stock your aquariums and ponds. 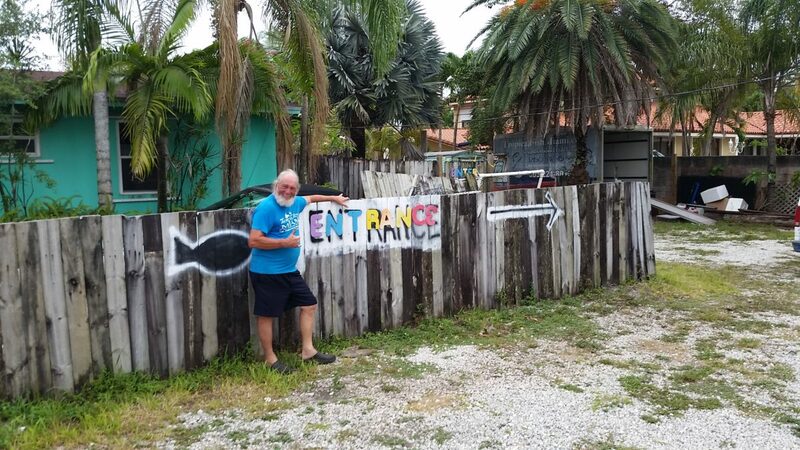 We are truly blessed to have such a wonderful customer base, and we’re happy to be of service. 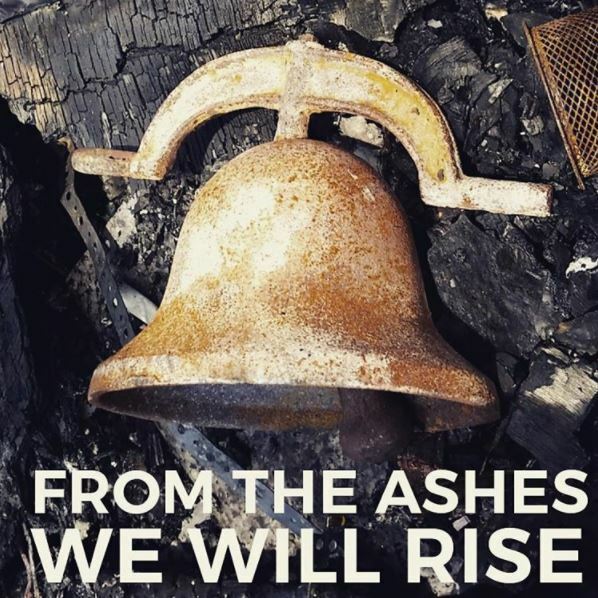 We’ve seen several new reviews of us pop up around the web, and are humbled by your kind words, and are grateful to remain in such high regards after the devastation of last month. 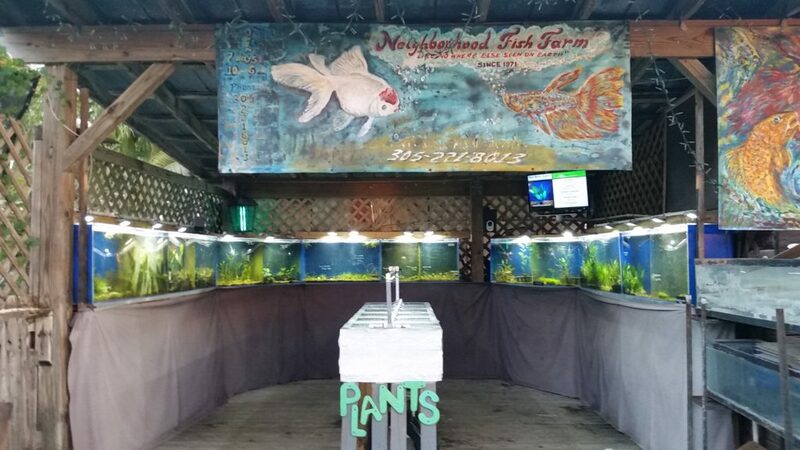 We also know that you love us not just for our facility, but for our fish as well! 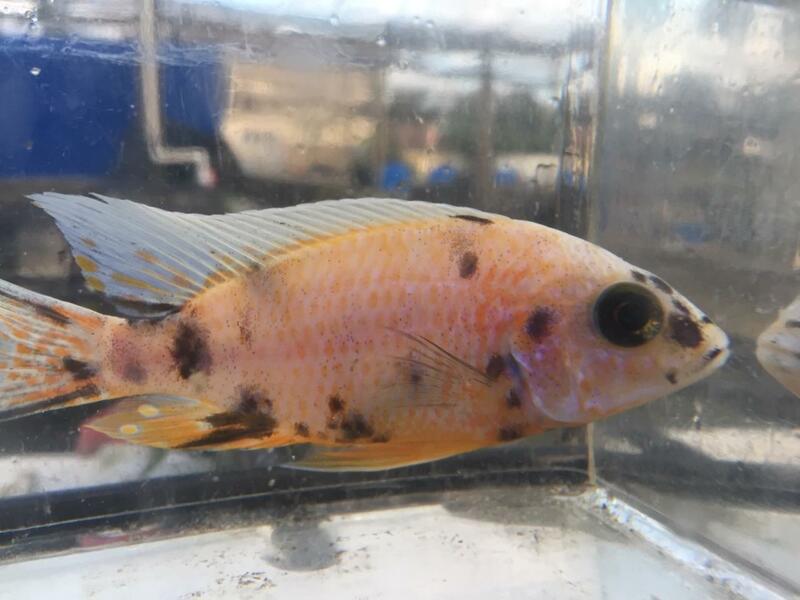 And we’ve got some beautiful new fish in Stock this week, and can’t wait to show them off to you on your next visit. Check out the full list below, or stop by and see them soon! As a reminder, we are now only open from 12pm until 6pm every day for now until we get everything back up and running more seamlessly at the Farm. For those who heard about what happened at the Farm a few weeks ago, either on the news, or through our social media, we just want to thank you for your support and kind words while we were working to get back in business. For those who didn’t hear, on Friday night, May 12th, there was a fire that spread and consumed our indoor showroom, our dry goods porch, our checkout area, and a large portion of our wooden deck. Thankfully, the damage was localized to the front of the Farm with much thanks to the quick and strong efforts of the local fire department, and none of the concrete ponds in the rear of the farm were harmed. The fish back there had no idea anything happened besides the temporary loss of power until we could get generators back up and running the next morning thanks to some very generous friends, customers and neighbors. 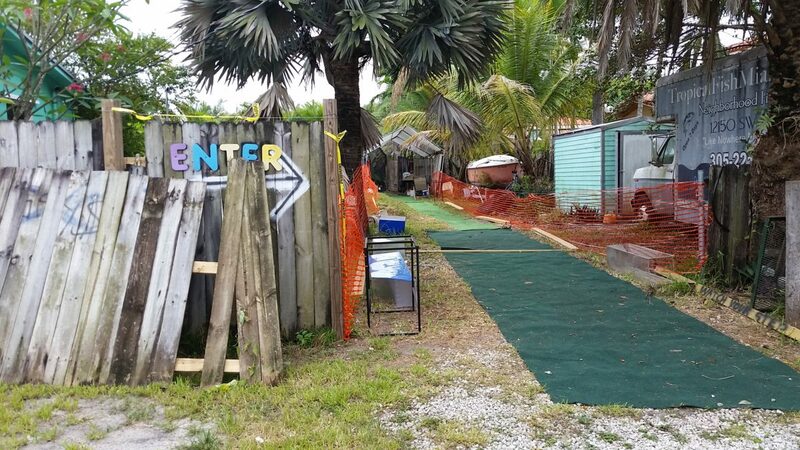 We had to stay closed for a few days while the crew put together a new entrance since the old way is damaged beyond immediate repair, but they were able to get started helping a few surprised customers that were driving by over the weekend while the work continued. 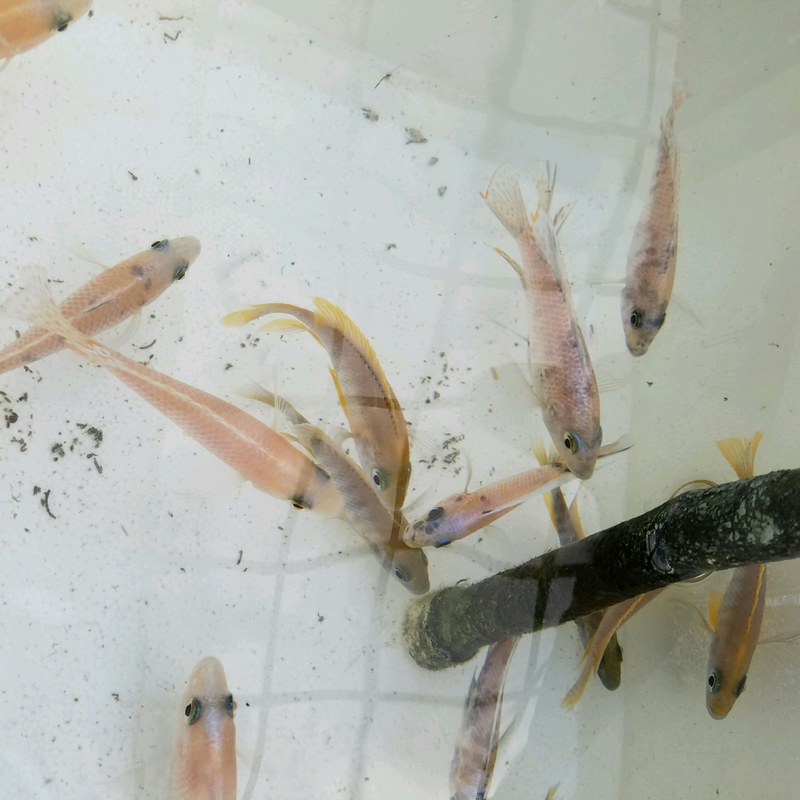 We are happy to tell you that we are back open in a limited fashion, making due with what we can in a very simplified set-up, with a limited amount of dry goods, like your favorite Koi Sticks, Pondmaster Filters, and other necessary foods and supplies, and we were able to bring in some new aquatic plants this week as well. We will be open from 12pm until 6pm every day for now until we get everything back up and running more seamlessly. Thanks again for all the love and support through this occasion. 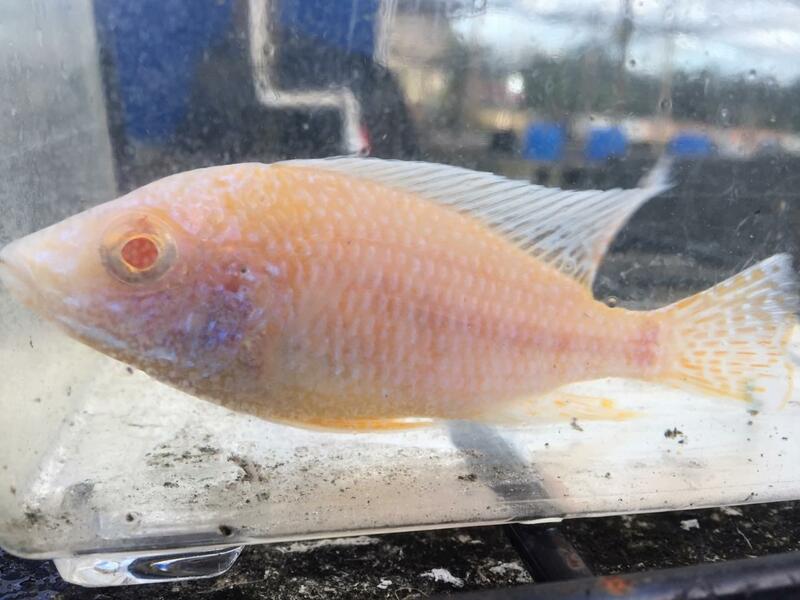 We got some awesome new tropical fish, goldfish, and aquarium and pond plants in this past week! Check out the list below, and stop by soon to see them all for yourself! We got some great new fancy goldfish, shrimp, tropical fish, goldfish, and koi in this week! Check out the list below, and stop by soon to see them all for yourself! Like us on Facebook and Follow us on Instagram to stay up-to-date with all our news and arrivals. We got some great new fish and plants in this week! Check out the list below, and stop by soon to see them all for yourself! stay up-to-date with all our news and arrivals. We got a beautiful batch of new fish in this week! Check out the list below, and stop by soon to see them all for yourself! 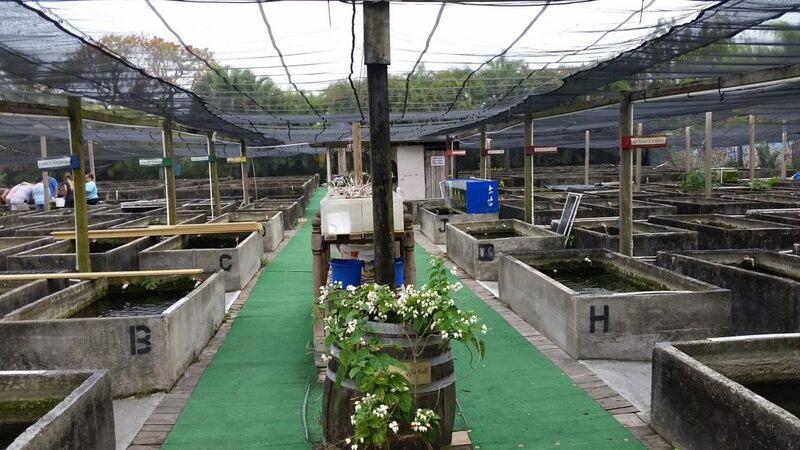 A lot of work has been going on at the Fish Farm, and if you haven’t been by lately, now’s a great time to check back in with us! 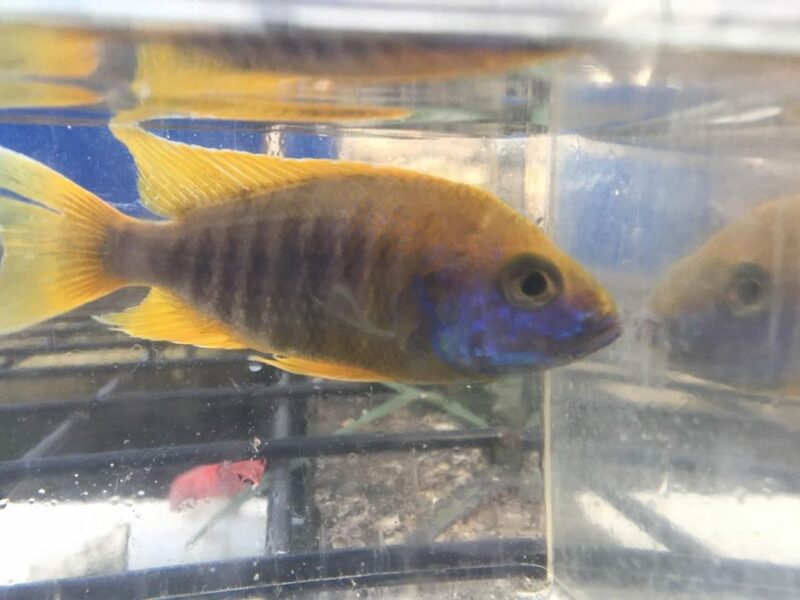 Here’s some photos from our completely remodeled aquarium plant display and a whole new batch of African Peacock Cichlids now available at the Fish Farm. We hope that you had a wonderful time welcoming in 2017 and that this year brings you great things. We look forward to being a part of your year and helping you keep your aquarium or pond a beautiful focus of your home as we provide the best quality and variety of tropical fish, koi, and plants available in South Florida. 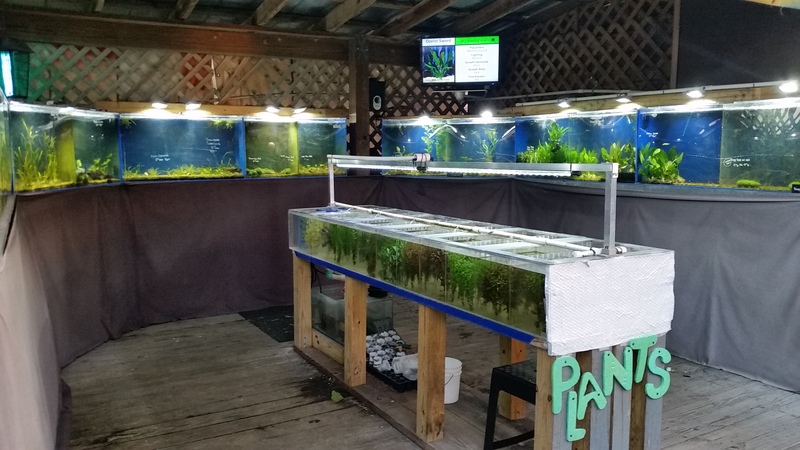 This week, we’ve restocked our aquarium and pond plant selections with over 30 varieties of bunched, potted, and other aquarium plants, and 4 different breeds of Tropical Water Lilies. Merry Christmas, and Happy Holidays to all of our lovely customers. 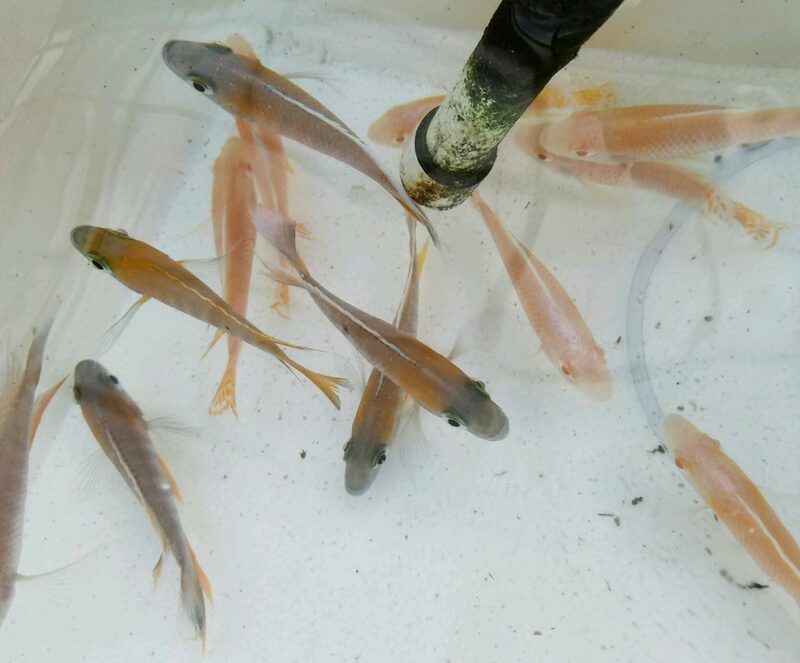 We’re very grateful to have you trust us with supplying you the best fish available for your tropical fish, goldfish, and koi aquariums and ponds. 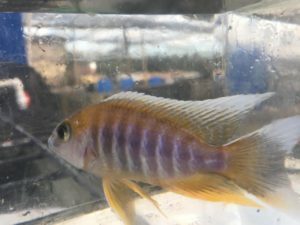 This week, we’ve topped off our inventory with lots of exotic new imports from the Far East and South America, as well as bringing in many of our signature breeds of African Cichlids. 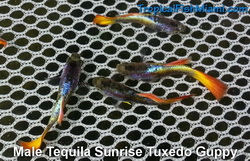 German Metallic Blue, Black, Gold Tuxedo, Green Neon, Leopard Tuxedo, Red Mosaic, Silver Red Tuxedo, Turquoise, Tequila Sunrise Tuxedo, and Metallic Blue Females!